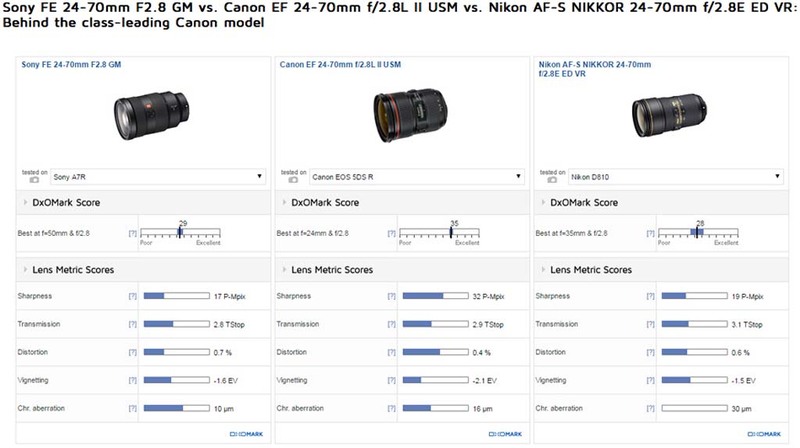 Looks like the new Sony FE 24-70mm F2.8 GM is competitive with similar Nikon and Canon zooms, by DXO’s measure, but DXO hasn’t compared them with comparable sensors yet so sharpness isn’t overly relevant in their test, because of the substantially differing pixel count. It is also interesting that the Sony performs best at 50mm, while the Canon is best at 24mm, and the Nikkor is best at 35mm. Many photographers prefer 50mm or 35mm, but I do not know many that shoot 24mm regularly. 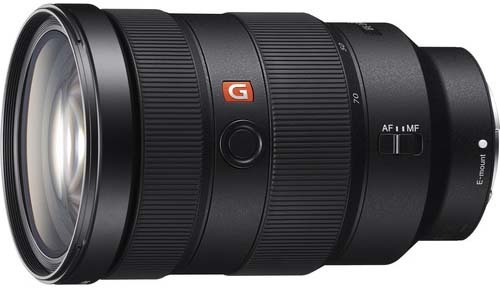 I’m curious to see if the Sony FE 24-70mm F2.8 GM will continue to shine on sensors like the 42MP a7R II and beyond. This entry was posted in Sony a7 II, Sony a7R II, Sony a7S II, Sony lenses and tagged Sony FE 24-70mm f/2.8 GM. Bookmark the permalink. Trackbacks are closed, but you can post a comment.